Here at Transworld Tile, we offer beautiful bathroom tiles for sale in San Fernando. If you are looking to redo your bathroom, and want to make sure your floors reflect the perfect style, then we are the company to come see. With an amazing selection, there is sure to be an option for you. But a bathroom is more than its floors. If you are trying to create a whole new bathroom, it is important to keep it well stocked! 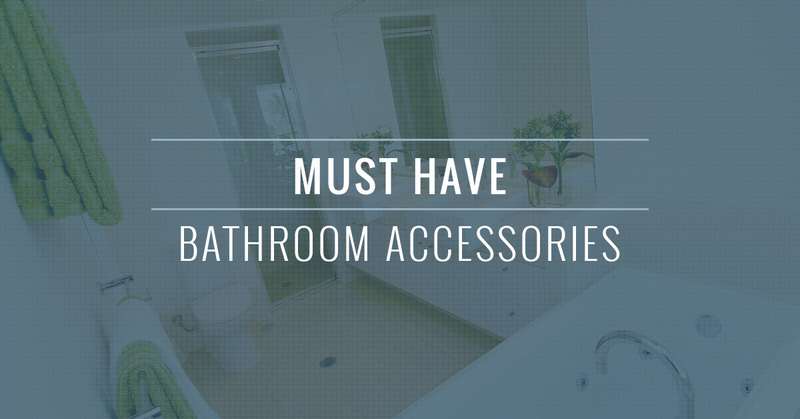 Here, we go over some of the must have bathroom accessories to make any bathroom comfortable. No bathroom is complete without a mirror, not just aesthetically but functionally. What kind of mirror you choose will greatly reflect the look and style of your bathroom. Do you want something extravagant and luxurious that pops out, giving your reflection a glorious frame as you dress every morning? Or do you like a simpler, more modern look; what you see is what you get? Consider this before you start shopping on a new mirror, and make sure to go through a couple options, imagining how they will look in your new bathroom layout. Another major bathroom accessory whose importance is both functional and aesthetic, a shower curtain sets the tone of a bathroom. Do you want light, elegant coloring? Make sure it matches the color scheme, and be prepared for a little more maintenance, as white curtains require more regular washing. How about darker tones? You will probably want matching towel sets and other items to properly contrast the room. If you’re working on a kid’s bathroom, there are all kinds of curtains with fun designs of their famous cartoon characters out there. Nobody wants to use a dirty bathroom. And unfortunately, no matter how clean they are kept, the nature of their use means that they may not always stay smelling fresh. But, when you stock a bathroom with scented candles, it becomes an olfactory haven. There are thousands of scents out there to choose from, and it really goes a long way to making your bathroom a part of your home. There is no sense better tied to memory than the sense of smell! So stock up your bathroom with all of your favorite scents! If you are a commercial building owner, then you will have to consider how your customers/employees are going to dry their hands. Are you going to get an automatic paper towel dispenser? A manual towel dispenser? Perhaps a hand dryer that uses air instead? This has energy usage implications, not to mention an effect on your bathroom’s aesthetic. For homeowners and renters, you will probably need a towel stand. Make sure you get one that matches the style of the bathroom, towels and all! While they tend not to take up too much space, it is still important to get a floor mat that matches your style. However, they are mostly there for functionality, as they prevent slips and falls that could cause injury. It is also usually a good idea to stock a bathroom’s showers with shower mats to further prevent the possibility of a slip causing injury. This is an affordable addition that is easy to overlook, but it is important not to. Most people overlook how a bathroom’s trash can ties the room together. And many people avoid a recycling bin altogether, which is too bad as there is a lot of recyclable material that goes through the bathroom (toilet paper rolls, makeup packages, shampoo bottles, etc.). Consider whether you want your trashcan hidden in a cupboard, or in the open and more accessible. If out in the open, what kind of color/style will look best? It’s a small feature, but one that has a major effect on the room. Add these items to make for a well stocked bathroom! If you are looking for bathroom tiles in San Fernando, then Transworld Tile is the company to call! For more information on our products, please do not hesitate to reach out to us at your earliest convenience. One of our friendly and knowledgeable representatives will be happy to answer any questions that you may have.